Original Furniture Design handmade by Tom Hannah Q.M.M., E.W. Unique art furniture. Welcome to my website. 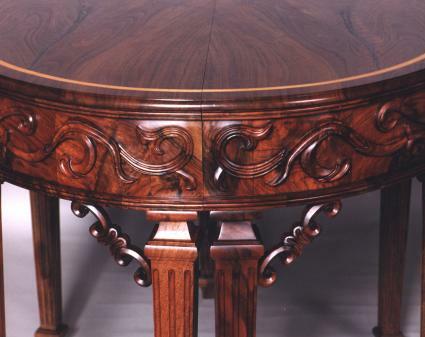 I have over fifteen years experience evolving designs from mid-18th century American furniture on. I have a strong lean towards the Boston and Newport areas worked from solid wood. All my designs, in a sense, are original with grounded roots. I use advanced technology combined with the older time-tested ways. Please enjoy a browse thru my site. A unique experience in this day of mass production. I've kept the wording short and will let the photos speak. Please call me if you have questions. I love to talk good design and execution.